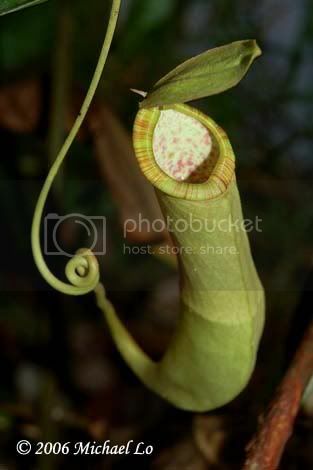 This trip is to search for a species of pitcher plant which is growing in the peat swamp called Nepenthes bicalcarata. 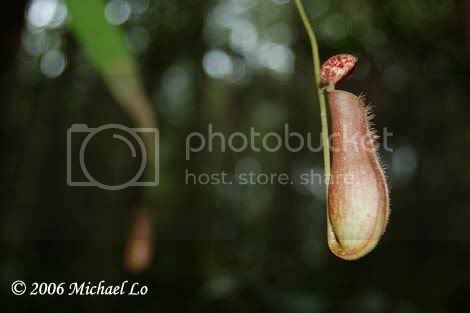 However, I failed to find it but only found 2 species of common pitcher plants : Nepenthes gracilis & Nepenthes mirabilis. 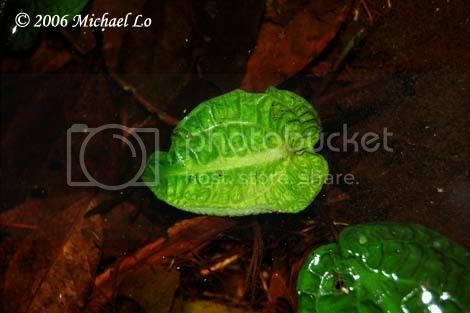 Aquatic plant : Cryptocoryne longicauda in submerged condition. 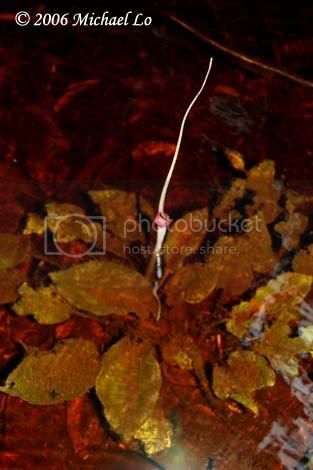 The plant (Cryptocoryne longicauda) is under the water, but the spathe is growing out of water for insect to come to pollinate it. 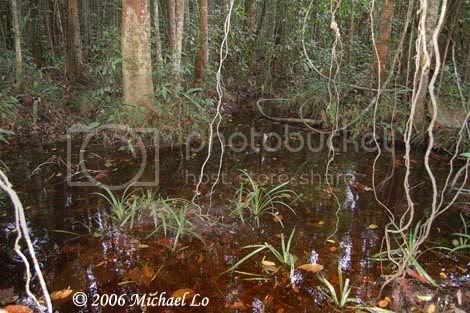 This species has very long tail of spathe, hence it is called longi~cauda. 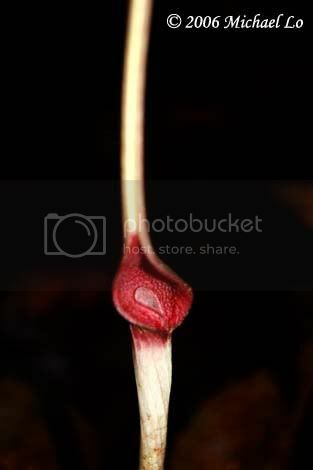 Close up of the spathe of Crypt. longicauda. Last edited by kuching; 26th Oct 2006 at 06:55. 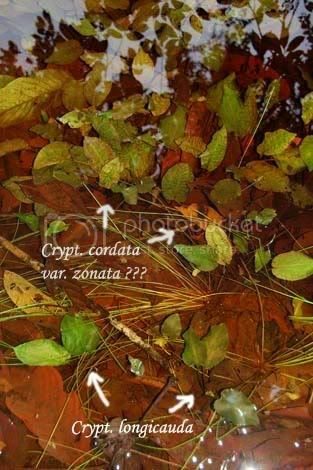 I think there are 2 species of Cryptocoryne growing here : Cryptocoryne longicauda & Cryptocoryne cordata var. zonata. 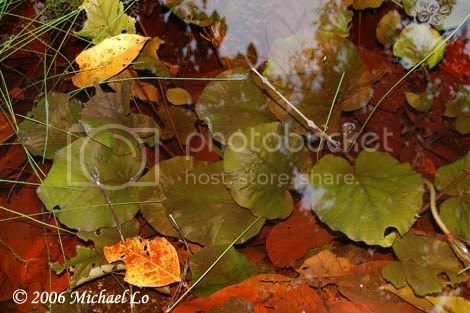 Aquatic plant : Barclaya motleyi in submerged condition. 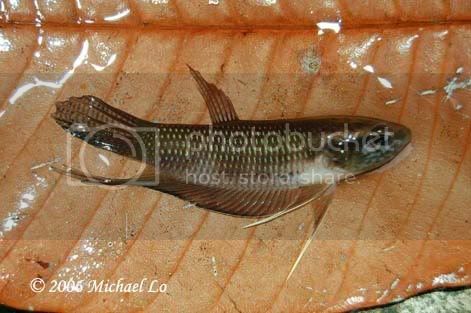 Betta ibanorum, the most common fighting fish in southern Sarawak. 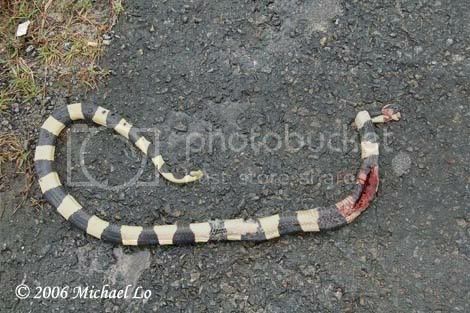 Road kill : Banded krait (Bungarus fasciatus). This species is venomous!!! 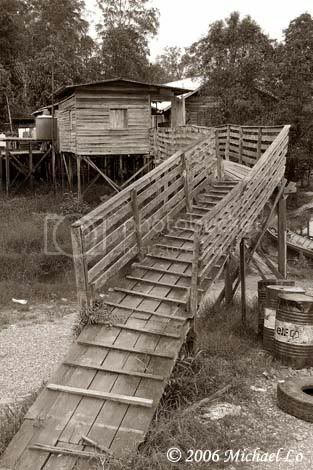 The wooden house near Batang Seterap. All the houses are built high above the ground (long-legged house) in order to prevent the flood during the rainy season. 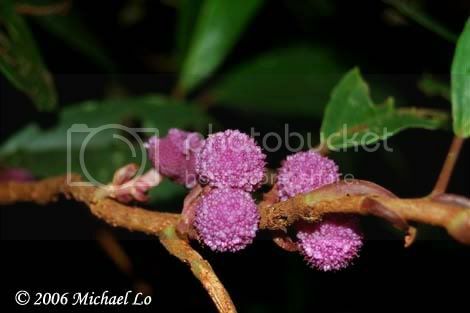 Inflorescence of a species of shrub. hi man! may i know if do you actually take some of the plants back singapore? seems like some very cute crypts and other plants to me leh. haha.... if got i dun mind getting some from u!! This is what I caught just now at blackwater streams in Bintulu. The area has nothing else besides this..Is this B. Ibanorum also? Last edited by cwtan12; 20th Dec 2006 at 11:21. Very commom fighting fish from Brunei to central part of Sarawak (Sibu). what's the difference between these 2? i cant spot the difference.. Both of them looks very similar. I think the coverage area is the main key to tell the difference. There is no Betta ibanorum in Bintulu as it is found in southern Sarawak only.